English is a funny language sometimes, where words can have multiple meanings. 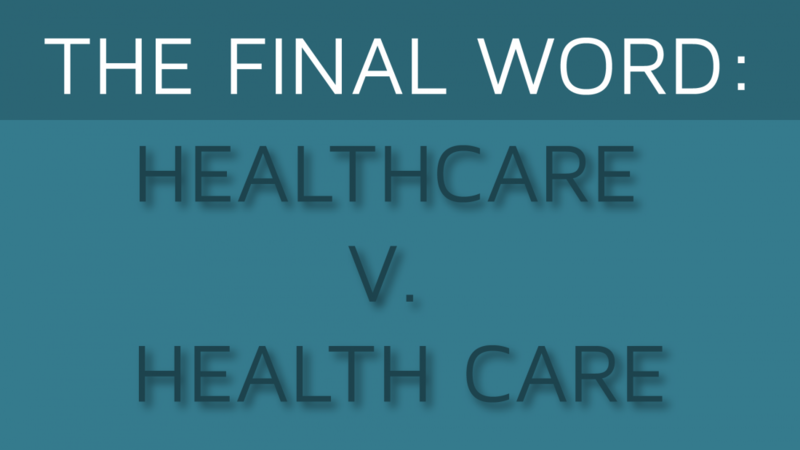 This can be especially confusing in healthcare, so our series The Final Word helps clarify how and when to use some common words that can have different meanings in different settings. Here, implementation manager Victor Galli passionately explains when to use "healthcare" versus "health care". A cursory review of all the textbooks, dictionaries, style guides, and news sources in the Anglophone world would reveal a complete lack of consistency in the conventions of how healthcare/health care/health-care (h/h/h) is written. Is anyone else’s mind blown that no convention has been developed for how to write about a multi-trillion dollar industry? Mine certainly was. This is my attempt to rectify the lack of clear, well-researched direction on this subject. If you were to look for an authoritative source on the topic, you would turn up a series of loose sets of rules and meritless rationales for conventions surrounding the veritable word cloud miasma that hovers around our industry. As such, I took to reading through the decisions handed down from the Court of Common Opinion in search of a compelling narrative for how we Anglophones the world over should free ourselves of this embarrassingly debilitating failure of language. Frankly, this has annoyed the Internet for way too long. “Health care” is in the top 20% most searched words on Merriam-Webster’s online dictionary and understandably so. No one is looking up “healthcare” because it’s some hard, new word: people are looking up “health care” because they need to know conventions for how to use and spell it! And as I did yesterday, most people walk away from Merriam-Webster and similar sources with tails between legs, depressed they have to go through yet another day with no direction on whether they are using and writing h/h/h properly. Michael Millenson recently tried his hand at unraveling this topic. He did a compelling investigational guest piece tracking down the history of usage and spelling for h/h/h on the blog The Doctor Weighs In. Unfortunately, at the end of the article, I’m still head-desking because Michael joins everyone else in what I’m calling “The Great Healthcare/Health Care Vacillation” by not making an argument one way or another for usage and spelling. I have developed a plan for my patient’s health care. A heavier emphasis on preventive health care by patients and providers will improve health outcomes and quality of life. The RNs in this practice provide the majority of the health care for their patients. Health-care services have become more expensive and more complex over the last 50 years. The health-care needs of the patients in this hospital wing are much higher than the needs of the average patient. I hope to work in healthcare one day. Healthcare’s number and diversity of players grew significantly over the course of the twentieth century. Modern healthcare requires both skilled clinicians and savvy, experienced business professionals to be effective and successful. The healthcare IT industry has been booming as a result of the strong demand for population analytics and effective electronic health record (EHR) systems. Healthcare reform has been a tough but important process to address many of the systematic failures of the healthcare system. Many former Wall Street professionals are moving into healthcare finance as a result of the industry’s massive growth. “Health care—two words—refers to provider actions. While this is a thorough and terribly useful set of conventions, the fact remains that in the US the most commonly accepted form in professional writing is “health care” (the Associated Press feels pretty strongly about it), regardless of the word’s part of speech and the concepts to which the author means to refer. My problem with this heavy-handed approach is that it flattens the language and allows the speaker and audience to discuss h/h/h with little specificity, leading to generalities made about h/h/h that are not valid for the other forms of the word/phrase/concept. As such, I think that Dr. Waldman’s model, which judiciously incorporates both forms, should supplant all of, in my opinion, the half-formed and barely-enforced rules on how to write h/h/h. You may be wondering why I (and others) care so much about this issue. The short answer is that “healthcare” has taken on more meaning as a closed compound word to describe the system/industry/field than is captured in the two separate words “health” and “care.” “Health care” does not sufficiently capture the increasing demand for nuance and specificity in referring to topics surrounding the practice and facilitation of services to maintain or improve health. Healthcare represents the political, financial, historical, sociological, and social implications of a system that provides health care to the masses. As professionals in a fast-paced and demanding field, we should hold ourselves to a high standard of precision and accuracy in our language. More than a few (by that, I mean literally 100%) of the professionals in healthcare have found themselves at some point wondering whether they are writing this word/phrase properly. I say the time has come to end the Great Healthcare/Health Care Vacillation. It is understandable for many to feel they have neither the time nor resources to dedicate themselves to the pursuit of grammatical perfection. 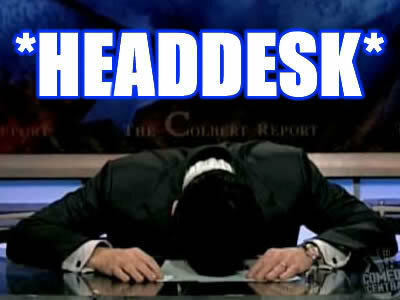 However, our issue here is not simply a lack of differentiation between two words in some obscure intellectual niche. Our issue is that our entire profession, industry, and field lacks a single, unifying convention for how to portray itself to the world. There is no excuse for confusion coupled with a lack of conviction for the need and method to address the problem. I am not so deluded to think this set of conventions will become common knowledge, but I can hope and pray that those of us tasked with writing about the healthcare system and the evolution of health care in practices will endeavor to establish and monitor a consistent set of conventions about something as powerful and pervasive as our health and the industry that supports it. "Healthcare" and "Health Care" aren't the only confusing words we all use. English is a funny language, and sometimes words we use in healthcare settings have ambiguous meanings that can create confusion. 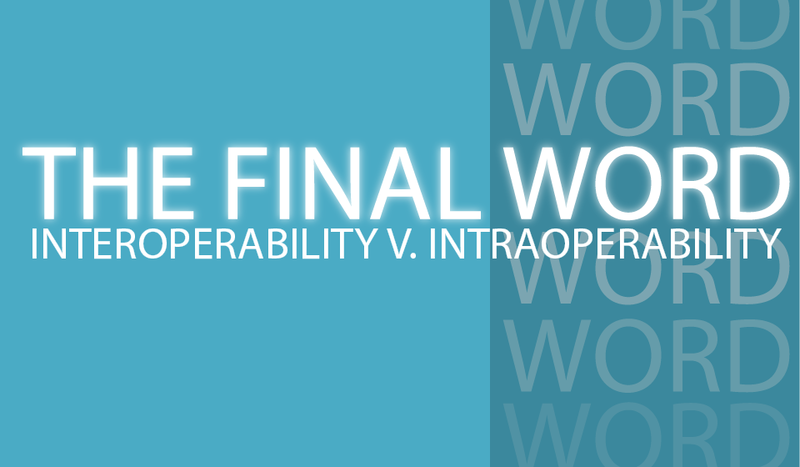 Our blog series The Final Word tackles these words – from “risk” to “quality” to “interoperability – and tries to inject some clarity into our discussions.